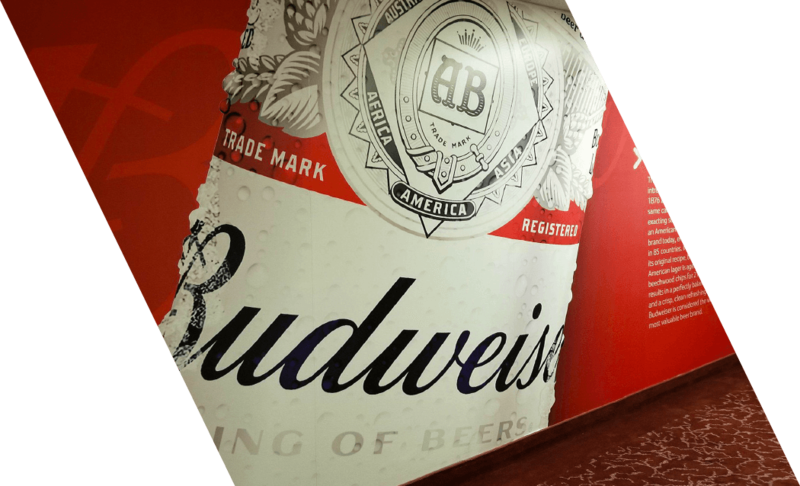 A&M Graphics is your full-service design, production and installation company offering a myriad of products & services. 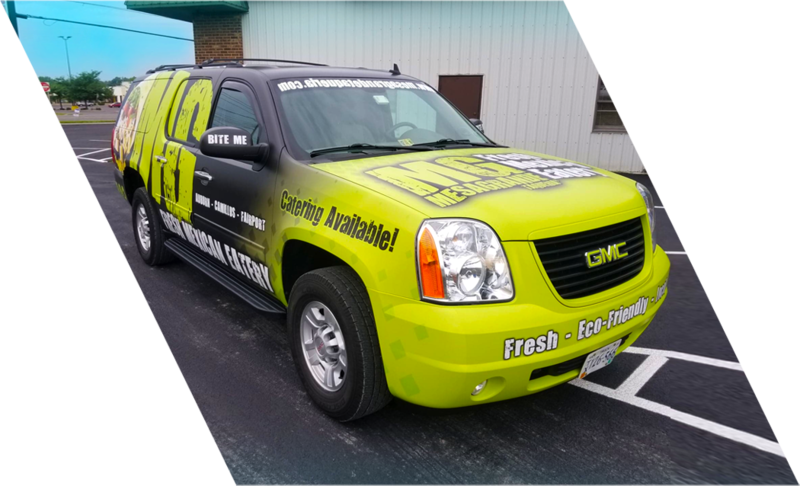 Full-color promotional wrap on this GMC Yukon for our friends at Mesa Grande Taqueria. A&M is your choice for fleet graphics and wraps, from 1 truck to 1,000 we have you covered! L.E.D. 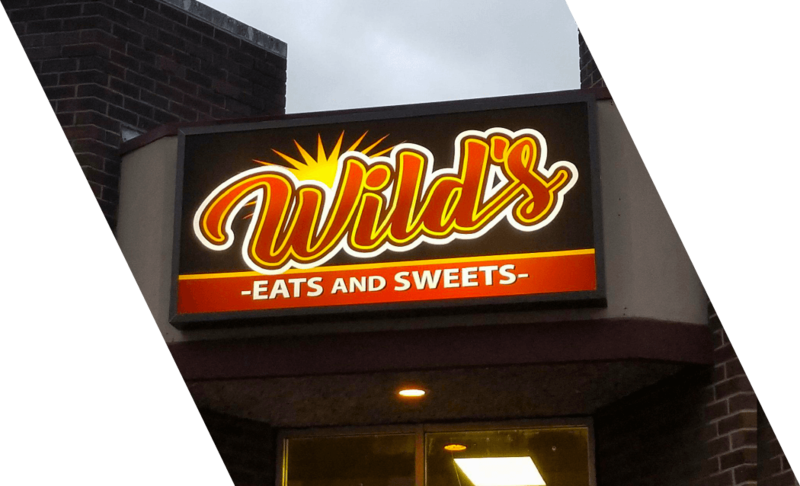 lit box sign with full-color graphics designed, fabricated and installed for Wild's Eats and Sweets in Auburn, NY. 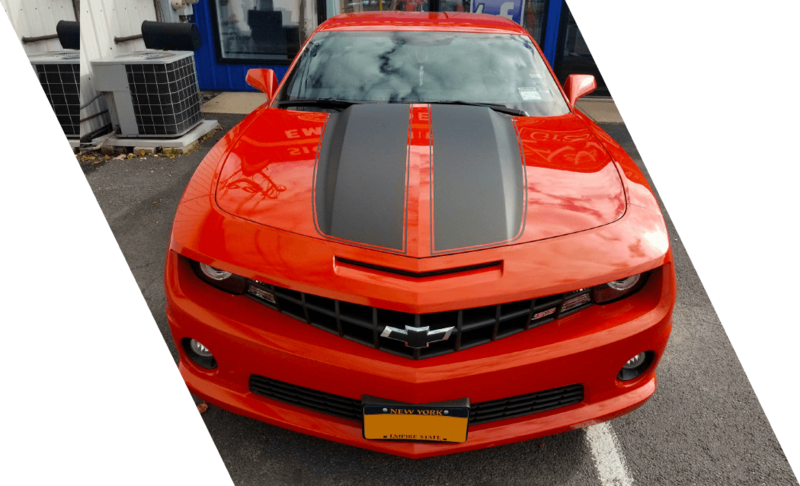 Custom 3M matte black racing stripes for this Chevy Camaro. A&M is the area's trusted source for high-quality automotive restyling! We like to invest the time in getting to know our clients and exactly what they need. We are happy to meet at our ever-evolving and educational showroom or on-site to survey your space's needs. Everything we do is custom. We offer a broad range of design services including logo design and branding. We can also work with your current in-house design team to produce what you need. 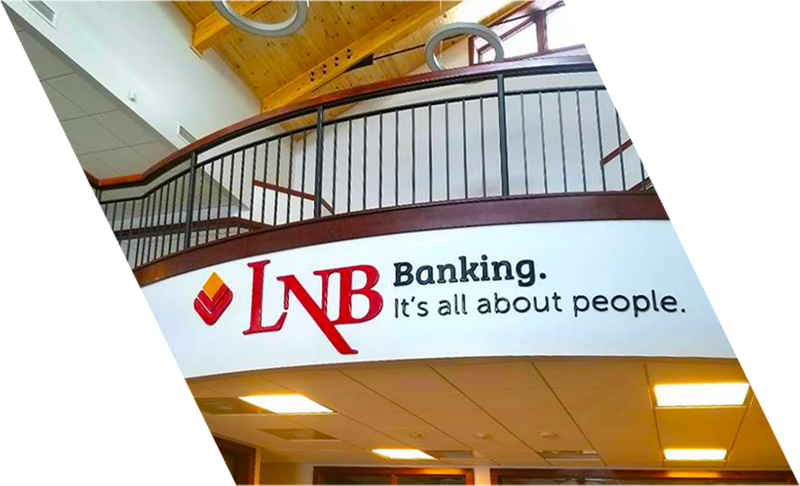 We are fully equipped to not only design, but print and fabricate your project in-house. We also have our own professional installation team to get your space looking its best. We pride ourselves on our unmatched, quality service. We are the go-to shop for most of customers and have the experience and products to take care of all of your needs.